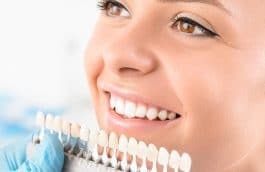 Teeth whitening or bleaching has been a procedure that dentists have performed since the 1980’s and possibly before then. Many dentists will say, “the foods that will stain your clothing are the foods that will stain your teeth.” Tooth stains can be on the outside of the tooth called extrinsic or on the inside of the tooth, which is called intrinsic. 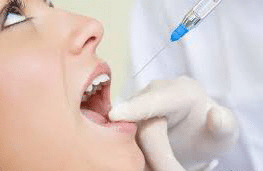 The antibiotic tetracycline has been the main culprit for creating major staining inside the tooth structure that leaves a very grey appearance. Tetracycline, when given to a child while their teeth are developing up to the age of twelve can significantly disfigure a child’s smile. Other things such as smoking, tees, colas, and red wine will all stain teeth but these are extrinsic stains, which can be bleached out of the tooth’s surface. 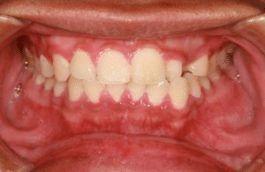 Excess fluoride, when given to a child during the years of adult tooth development, can also give the tooth an appearance of staining but this is intrinsic (inside). 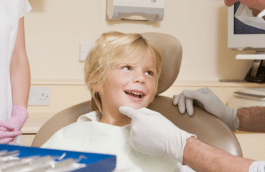 The dentist office will first take impressions of your teeth and special trays will be made. This is a very critical step. 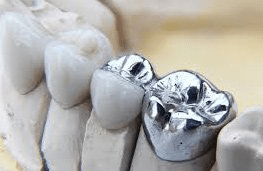 The fit of the tray is one of the most important steps to success and many dental offices differ in their technique on how to make these trays. These special trays are then used to hold the gel material that is given to you in your bleaching kit. The whitening gel material is placed in the special trays and the trays are worn in your mouth for a 30 to 60 minute period each day until you are satisfied with the results. The tooth structure does not change or get damaged during the process. Any dental work that is present such as crowns, bridges, fillings, and veneers will not change in color with the bleaching technique. Some dentists will bleach teeth in their office with a special light or a laser. They also use a solution called carbamide peroxide or something similar to this. Once the solution is applied to the teeth and a special barrier is placed over these gums to protect them, the light or the laser is then used to bleach teeth. Many dentists claim that this works better than the take home tray technique. The take-home technique is a plastic covering that you place a solution in at home and you wear this tray thirty minutes per day for a week or two. There has been no clinical scientific data to support the light/laser technique. It has never been proven that the light/laser works better than the take-home technique. The take-home technique is at least half the cost. 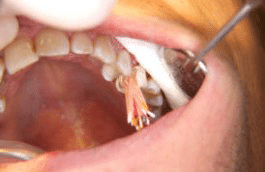 With any bleaching technique, the teeth will become slightly stained again over time. With the take-home system, you can purchase more of the gel and you can bleach as you need it. With the in-office procedure, you have to go and get the light/laser again which can be very costly. 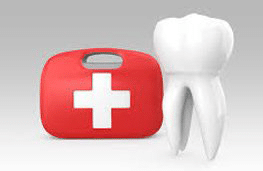 • Is tooth whitening safe? 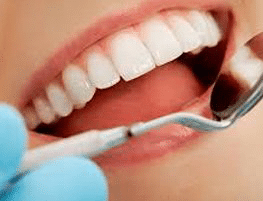 Dentists have known for years that tray whitening or bleaching is a fast, safe and predictable way to whiten teeth 2-5 shades in a matter of days. The main ingredient in the bleaching gel is called carbamide peroxide. This gel will break down in your mouth over time into oxygen and water. Oxygen and water is very safe. The dangers that could occur with bleaching are that the gel could burn the soft tissue also called the gums if not used properly. The amount of the gel used should be very minimal to allow for no gel to escape from the tray onto the gums. About 50% of the people that bleach will experience some sensitivity. This is not harmful to your teeth but it can be annoying. The sensitivity should only last about one day. • How long will the bleaching last? Exposure to coffee, smoking, red wines and any food that will stain your clothing will gradually darken teeth again over time. After an initial treatment, most people do bleaching touch-ups one day about every 3-6 months. • How long will it take to bleach my teeth? Depending on the strength of the gel used to bleach your teeth, it will take just a few days to see some results of bleaching. As your teeth get lighter in color, it is up to the dental patient as to how light you want your teeth. The longer you use your trays, the lighter your teeth will get. Some patients bleach their teeth for weeks. Virtually everyone who whitens their teeth will see improvement.